Our recently released 10 Principles for Schools of Modern Learning whitepaper provides a synthesis of the unique characteristics of schools from around the world that have taken on high-bar change initiatives responding to the new opportunities and challenges of learning in the modern age. Since its publication, the white paper has been downloaded by over 10,000 people who are using it as a way of starting conversations and as a framework for their change efforts. Now, we’ve introduced a companion piece to the whitepaper: The 10 Principles for Schools of Modern Learning Audit. Simply, the Audit provides a benchmark for those schools who want a more concrete sense of where they sit in terms of providing the type of educational experience that today’s students need to thrive in the world. 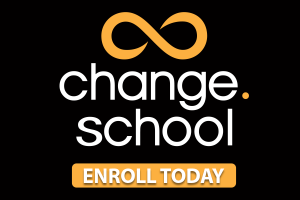 This Audit gives school leaders, parents, and teachers a quick assessment of current practices as well as clarifies starting points for planning long term change initiatives in schools and districts. The audit covers four benchmarks for each of the 10 Principles. Your results will be e-mailed to you immediately after completion. Included in the e-mail will be three action steps you can take right away based on your results. The more honest you are in your assessment for each benchmark, the more you’ll be able to tailor your own next steps as well. Finally, in the future we’ll be sending out an analysis of the audit results we gather as a way of painting a picture of where efforts to employ these principles stand on a global scale. In this 30-minute podcast, Bruce and Will discuss the background of the audit and talk about two of the principles in particular. 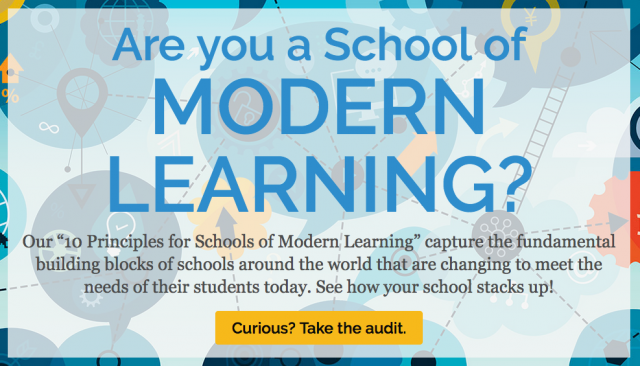 Please let us know if you have any comments, questions, or feedback via email to will@modernlearners.com.